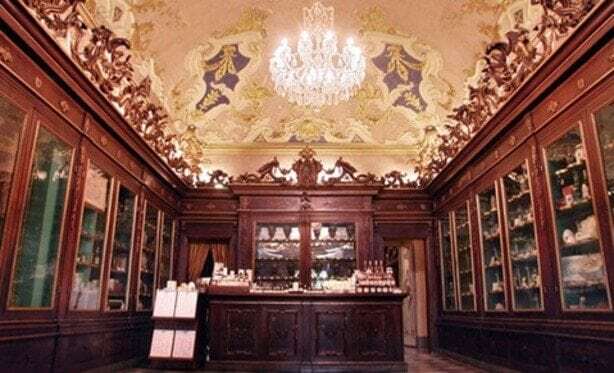 I remember a few years ago visiting the beautiful Santa Maria Novella perfumery in Florence [pictured] to buy my wife some perfume and loving the fact that it felt so incredibly special. Among many other things, Santa Maria Novella actually made the original eau de cologne, named it after its creator who went to live in Cologne. On the way home, I walked past the hideous duty-free section at the airport with its wall of designer fragrances and a thought struck me as I saw Mysterious Girl, “the latest fragrance from Peter Andre”. The reason why my perfume felt so special – even though I have absolutely no appreciation of what is good or bad about a perfume – is that those at the perfumery are specialists. They are experts, it’s all they do, and therefore they must be damned good at it. They also happen to have done it for over 800 years – something even Peter Andre would struggle to claim. I then thought about many of the things I buy and I realised that I, like a small number of other people, tend to buy things from people who specialise, or at least, I buy from them the product that they are known for. My favourite watch is a TAG Heuer, my sunglasses are Ray-Ban, my suitcase is a Globe-Trotter, my glasses are Oliver Goldsmith, my coat is a Barbour and my shoes are obviously Grenson or Tim Little. I don’t want my shoes to be made by someone who also sells soap. And anyway, why does a company which is famous for hand-sewn moccasins feel that it knows what makes a good watch? Or why does a well-known clothing designer want to sell us a set of crockery? It just doesn’t make sense. There are more people in Japan than anywhere else who are obsessive about this and I love them for it. They seek out authenticity in everything and to them that means buying from specialists. They want to know that they are buying from people who know what they’re doing. They check out your history and expect you to be passionate about your subject before they start splashing the yen. As more and more brands spread themselves ever more thinly, the specialists have an opportunity to position themselves as such and then reap the rewards of authenticity. So do us all a favour and turn Japanese. Otherwise the specialists will disappear and you’ll end up eating your Jasper Conran cornflakes whilst drinking your Katie Price coffee before driving to work in your Ted Baker 4×4.